The exhibition was held from 10th August to 12th August 2011. Bry-Air, the leaders in Moisture and Humidity Control participated in the recently concluded China Battery Show. It has witnessed a strong participation from Lithium Battery industry. More than thousand visitors visited the event. Hundreds of visitors shown interest in Bry-Air products and enquire about it. Bry-Air has showcased it’s “DryPurge” technology for dry rooms in the show. It has been tailored for ranges specific upto -60ºC to -70ºC dew point applications. 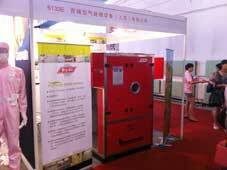 Bry-Air has also displayed dehumidifier, which is the answer to all massive moisture problems. The Dehumidifier removes moisture through a process of continuous “physical adsorption“.